Send me company information Send me your quarterly newsletter "Lessons"
AZ, CA, CO, CT, DE, FL, GA, HI, IL, IN, KY, MA, MD, ME, MI, MS, MT, NC, NH, NE, NJ, NY, OR, OH, PA, RI, SC, TN, TX, VA, VT, WA, and WV. Securities offered through LPL Financial, Member FINRA/SIPC. Investment advice offered through Private Advisor Group, LLC, a registered investment advisor. Private Advisor Group, LLC and Wealth Strategies & Management, LLC are separate entities from LPL Financial. PLEASE NOTE: The information being provided is strictly as a courtesy. When you link to any of the websites provided here, you are leaving this website. or any consequences arising out of your access to or your use of third-party technologies, websites, information and programs made available through this website. When you access one of these websites, you are leaving our website and assume total responsibility and risk for your use of the websites you are linking to. 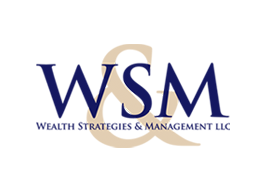 All Content ©2014-2017 Wealth Strategies and Management | Site design by Local Flair, Inc..